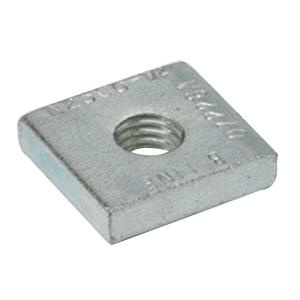 B-Line Square insert nut features steel/ASTM-A36 construction with electro-plated zinc/ASTM B633 SC1 Type III finish for added corrosion and longer endurance. It has thread size of 3/8 - 16. This 3/8-Inch nut is suitable for use with B2500 spot insert.